On February 25, 2011, Oprah Winfrey's TV show ran a segment called Get To Know Diana Ross' Children . Amongst five other siblings who have gone on to become prominent actors, actresses, and socialities, only one starred on the hit television series Girlfriends and has a new television venture premiering this Wednesday on ABC (ahem, black-ish). I'll give you three guesses to determine who I'm talking about and if you guessed Chudney Ross, you'd be incorrect. If you guessed Rhonda Ross Kendrick, you'd also be incorrect. 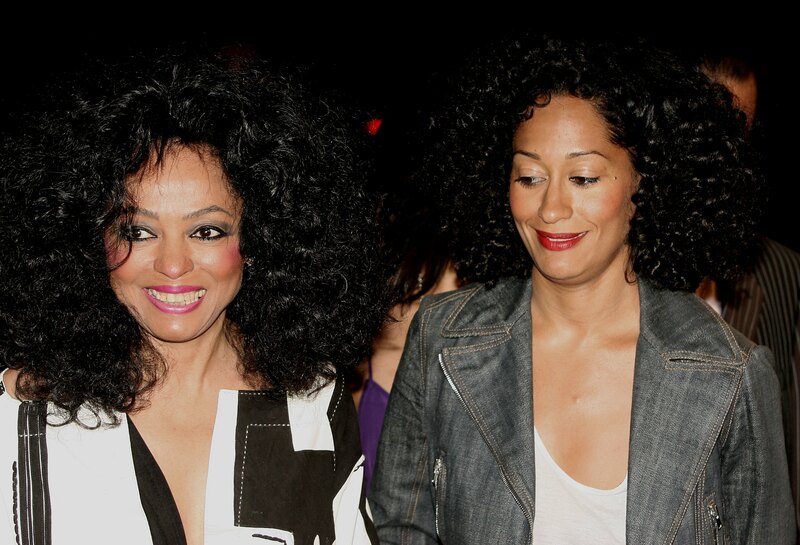 I know, I know, this is insanely annoying at this point and you want me to confirm that inkling you've had in the back of your head for the past twenty minutes when you read the headline: For those of you who guessed Diana Ross' daughter Tracee Ellis Ross, you win! Tracee admits having learned a lot from growing up with a mega star as a mother. Her mother has always done her own makeup and hair, something Tracee has borrowed from her, in addition to a few pearls of wisdom. "Her message is consistent — follow your bliss and follow what makes you happy," Tracee says in the same interview with the Post. "When you feel happy, you look beautiful." The relationship between Diana and Tracee gives me hope that another mega diva's daughter, Blue Ivy Carter, will be inspired by her mother Beyoncé and become just as luminous and successful as Tracee Ellis Ross.